“Tell me what you eat and I will tell you who you are”. The famous saying goes right to the point, capturing in a few words the idea of culinary being a defining element of our identity. As much as a biological need, eating is a pleasant way to explore other cultures, to learn about a country’s nature, economy, society and traditions. In this regard, New York has always been a magnet for this kind of experience, offering high end, gourmet food, from everywhere – Japan, France, Mexico, China, Israel, India… … you name it! Recently, Brazil is also coming to the fore. Iconic national snacks, sweet and savory, are increasingly popular among New Yorkers, thanks to the recent success stories of food start-ups and coffee shops new to the Big Apple’s gastronomic map. Making “brigadeiro”, “pão de queijo”, “pão de mel”, “biscoitos de polvinho” and creamy tropical fruit desserts or gelatos, young Brazilian entrepreneurs handpicked culinary delights that resonate with the American’s palate and perfectly fit the “grab and go” culture prevalent in the city. 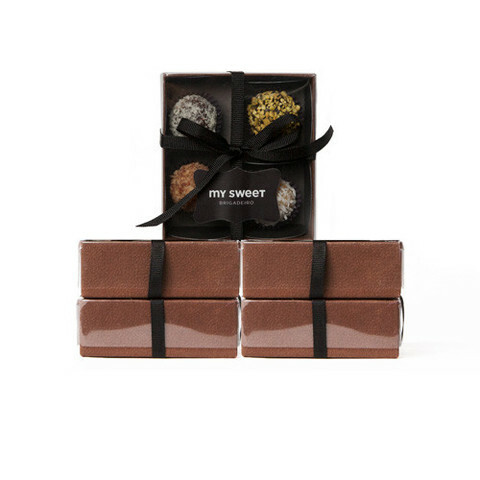 Moreover, these treats are artisanal, made with the finest ingredients, eco-friendly and elegantly packed. All very much aligned with the current values of the demanding global consumer who lives in New York. Below you will learn about brigadeiro and where to find it in the city. This is the first article in a series about Brazilian gastronomy in New York. Stay tuned to find out about other snacks and dishes. There is not a child’s birthday in Brazil without brigadeiro, a soft, round chocolate sweet, covered with sprinkles. But that is not enough to describe its popularity. No matter what, Brazilians always have an excuse to grab a pan and warm, over low heat, cocoa powder, butter and sweet condensed milk. The recipe is as simple as that. Then people normally eat the delicious spread right away with a spoon, skipping the final steps – hand rolling and coating the little balls. Every Brazilian who comes to New York knows by heart how to make brigadeiro. But Mariana Vieira, who owns “Brigadeiro Bakery”, and Paula Barbosa, the creator of “My Sweet Brigadeiro” had up their sleeves precious secrets, learned at home, that make their brigadeiros special. Almost naturally, they found themselves making the delicious treat for family and friends. Before they knew it, their stoves were bursting at the seams, a clear sign that the next, natural step, would be to rent a commercial kitchen space. And their clientele expanded beyond the Brazilian community. 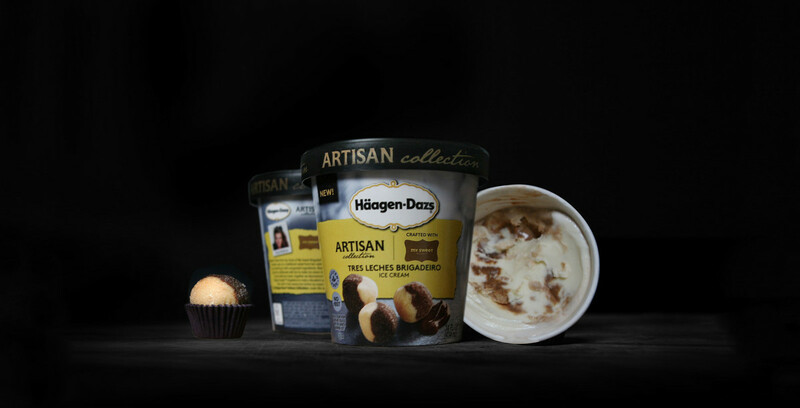 Today, “My Sweet Brigadeiro” is at the “Dessert to Go” section of Whole Foods and has loyal corporate customers, such as Macy’s, Saks Fifth Avenue, Goldman Sachs and HStern , not to mention Paula’s recent collaboration with Haagen-Dazs to create the ice cream “Tres Leches Brigadeiro” an edition of the Artisan Collection that will be on sale nationwide until the summer of 2016. “Brigadeiro Bakery”, on its turn, did so well in the catering business, mainly for Brazilian related customers or companies, that Mariana decided to open a space in Soho to reach out to the American public. The gracious shop, inaugurated in December 2014, is her window to the world. 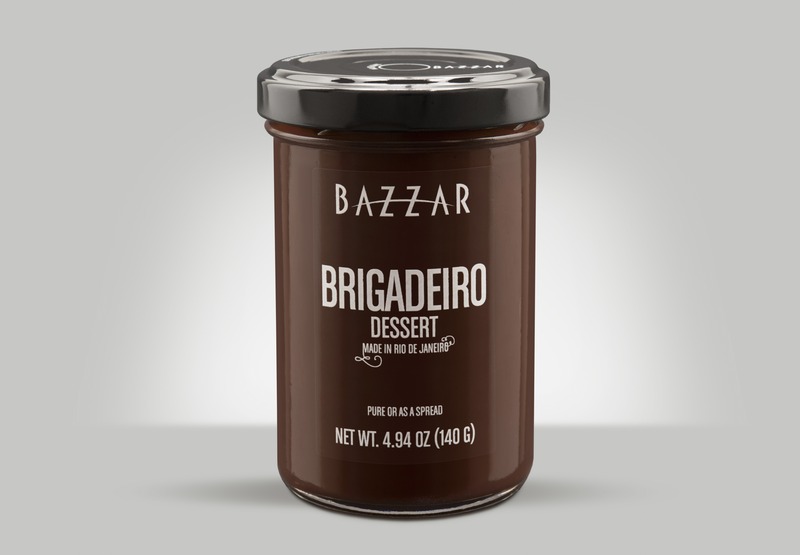 Another relevant vendor in the market is Bazzar, a Brazilian company based in Rio de Janeiro, that has recently started exporting brigadeiro paste and others sauces to the US. The sales have been growing exponentially through partnerships with an online national retailer, Trytheworld.com, as well as the Fairway supermarket. Instead of making the sweet balls, Bazzar has adopted the traditional presentation, selling the brigadeiro paste in glass containers, ready to eat with a spoon, spread in cakes or mix with ice-creams. According to all of them, the great acceptance of brigadeiro does not come as a surprise. 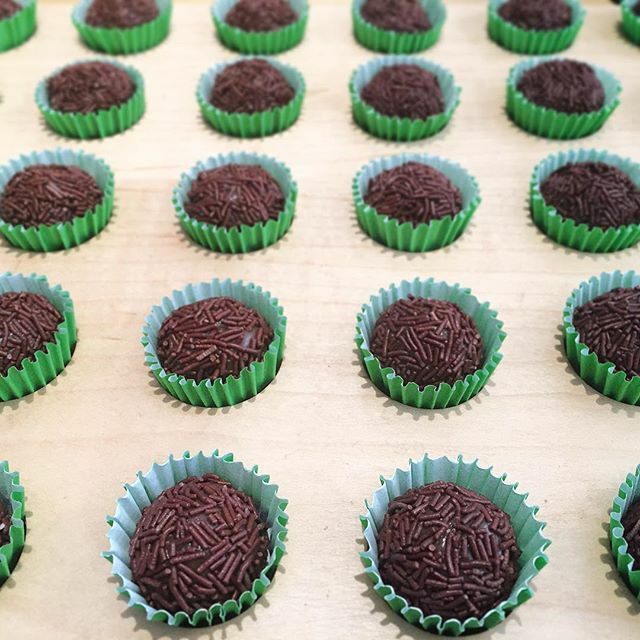 “Brigadeiro is a universal product in a sense that it is simple and delicious” says Mariana. “But it is also connected to the American taste: they love butter, sugar and decadent desserts”, explains her. Based on her experience with different markets worldwide, Celia Bentaleb, who is responsible for Bazzar’s international sales, says that she was confident that brigadeiro would be a great hit in the US. “Contrary to the Europeans, the Americans eat a very sweet and rich chocolate” explains her. In fact, they are used to products and recipes closer in flavor and consistency to brigadeiro, such as the hazelnut spread, the chocolate fudge and the caramel. To the newcomers, Paula associates her delicacies with a truffle, but “with a different, softer consistency”. All that, without mentioning the beloved sprinkles! Although the bestseller is the classic recipe, they have also created new flavors with ingredients that are well accepted here, such as banana-cinnamon, berries, Oreo, pistachio and peanut. For the fall, Paula is making a “Pumpkin” edition, mixing condensed milk with various seasonal spices. Yet, brigadeiro is new to the Americans and, to make things more complicated, the New York costumer is used to the highest quality standards. Well aware of their public, these vendors created somewhat similar business models, placing the marketing at center stage. Besides offering a delicious product, they built a strong image around it, with catchy sales slogans and a sophisticated appearance. 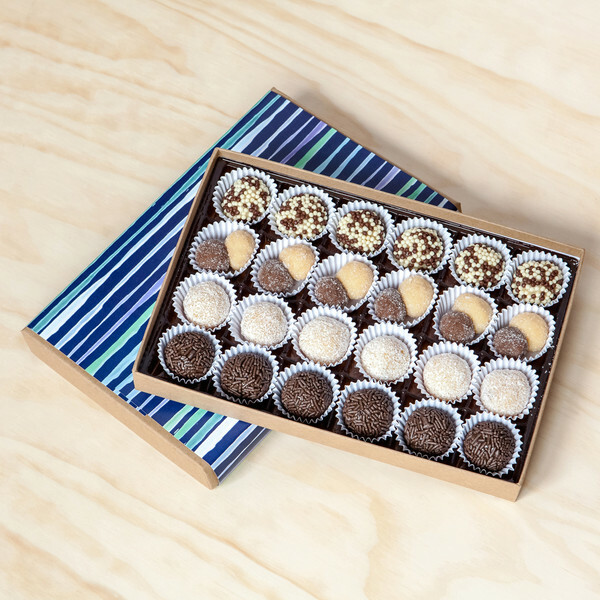 “I want people to think that my brigadeiro is an elegant product, a treat for a special occasion, so my packaging must rise to the occasion”, says Paula Barbosa. Mariana also tells me how she brainstormed about every detail of her brigadeiro shop, from the geometric design on the wall, to the retro lamps or the floral gift boxes. “You have to visually invite people to try your product”, explains her. On a different front, Bazzar often organizes tasting events to promote its desserts and sauces. “As much as we tell them how yummy our products are, they need a push to break that barrier”, tells Celia. Another guiding principle with great appeal in New York is sustainability. They all keep the production artisanal, hand rolling brigadeiros, and devoted time and effort into finding, here and in Brazil, small suppliers and growers with productions free of hormones, pesticides or artificial flavors. At the end, what they offer is unique: handcrafted products made with the finest and “cleanest” ingredients.